The moment I realized I could no longer handle teaching high school, I was sitting in a Teaching for Change-organized class with Enid Lee, one of the authors of Beyond Heroes and Holidays: A Practical Guide to K-12 Anti-Racist, Multicultural Education and Staff Development and a huge force in the area of critical literacy, which was a major focus of my graduate studies in English and women’s studies. We were at McKinley High School in the District, and it was spring, the last night of a several-month course. In addition to having expressed concern about my inability to reach a certain student, I was sharing my frustration with my English department. Some were overtly hostile to the achievement gap suggestions my AP/Honors Diversity Committee had recommended, and others were just not swayed. My health was too precarious to push on. It was more important at that moment for me to let go of my compulsion to fight injustice with every fiber of my being. I had to simply take care of myself. This was 2005. I’d spent a year and a half grappling with the diagnosis of Graves’ Disease, autoimmune hyperthyroidism. It wasn’t as though I was in some high-powered career seeking “success” through power and recognition, like many of the people Arianna Huffington writes about in Thrive: The Third Metric to Redefining Success and Creating a Life of Well-Being, Wisdom, and Wonder. I was just a progressive teacher trying to make public education something that provided better opportunities for more children. And it was killing me. What was really killing me was my own sense of urgency, or the fact that I’d tied the idea of “success” to external measures: first to how well I did in college and graduate school and then to how well my students responded to what I was trying to teach them. I wanted to fix their lives. I knew I couldn’t, but I also wanted to be that teacher who helped them believe in themselves, or who turned them onto literature in a way that would save their souls and see them through dark hours. And I wanted my colleagues to see the light and agree that we really did have to shift our paradigm. I wanted them to agree that it wasn’t okay to have AP and Honors classes that were 70% white when the school was less than 30% white. So that spring of 2005, I left Enid’s class early and cried all the way home. Everything I’d worked toward to prepare for a career as an educator who would make a difference was all futile; none of my education or training had taught my body how to manage the stress of working with kids who had such high needs. It wasn’t just my thyroid that was a problem; I’d shown signs of adrenal fatigue and had irritable bowel and cystic acne. Everything got better when I stopped eating soy, starting eating animal protein, and then when I stopped eating gluten and dairy for good. But it took months of medication and nutritional supplements to go into remission from Graves’ Disease (something that is rarely considered permanent) and to feel like it might be safe to start trying for a baby. I had converted to eating Real Food and had gotten religion on the need to go to sleep early and sleep a lot, as self-described “sleep evangelist” Huffington talks about in Thrive. 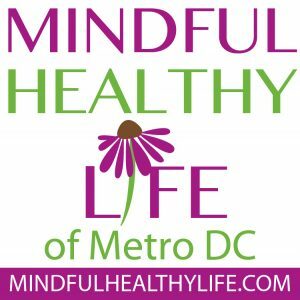 I had benefitted from mindfulness techniques that helped quiet my racing mind when too much thyroid hormone circulating in my blood made it impossible for me to sleep or feel the least bit calm. I stopped running when so ordered by the doctor and, after learning to appreciate walking, returned to jogging months later with a softer – and no longer palpitating – heart. When even my yoga class got too hard for my compromised state, I picked up tai chi. Quitting teaching had already crossed my radar before I broke down in Enid’s class; I felt like I might never get healthy, much less pregnant, as long as I was enmeshed in the drama of 120 teenagers who had so many needs I could not fill. My husband didn’t get it. “What else are you going to do?” he asked. 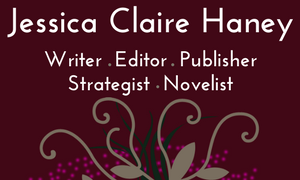 I had no clear answer, and though I often wish now I had at least Googled “freelance writer” and tried to make a start, I instead agreed to join an interdisciplinary team for the 2005-2006 school year that I thought might be a nice source of support. At least, that is, until I found out the head of it who’d invited me in was pregnant and leaving in December. Driving home from that Enid Lee class, it was clear to me that I would have to pull back, even if I didn’t full-on quit. I just couldn’t keep up the pace and expectations I’d set. If I was going to get well, teaching would have to stop defining who I was. Four days after the end of the school year, on day 35 of what would have been a 50-day menstrual cycle, I conceived my son. I firmly believe my body held out until it was safe and knew it could rest and gestate all summer. I scheduled my last day for a full month before my due date and expected I would probably never return to the classroom. I was ready to be done with teaching and throw myself into mothering. So here we are, nearly nine years, two children, more of a health journey and several waves of technology later. I’m still free of thyroid medication and have continued to strive toward balance, but it’s hard. My adrenals and gut are still compromised. There are so many pieces that need to be aligned for me to feel well. If one gets off – especially sleep – everything else goes south. I’ve gotten clear that my body couldn’t handle another pregnancy, and that even if it could, a third child would only contribute to my feeling scattered and like I was being too many people at once, and none of them effectively. It’s tough enough now with two! If my husband did not earn enough to support our family, I honestly don’t know what I would do. After tutoring a few hours a week for over 6 years, I quit that this fall because being out 8-10 p.m. was too hard on my body. Five years ago I started a chapter of Holistic Moms Network, which has been great in many ways but at which I’ve still sometimes thrown too much of myself and not left enough behind for a sustainable existence. More than five years ago I wanted to start a local resource website for natural-minded families that is just now getting off the ground. 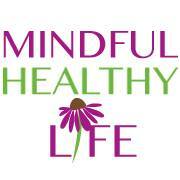 I decided to call it Mindful Healthy Life; the name is as much a challenge to myself as it is a promise. While I would love to make it financially sustainable – or at least pay myself back for my (read: my husband’s) investment – I have to take it slowly and simply cannot approach it like a businesswoman, or I will just make myself sicker. I cannot stay up late and miss meals to wheel and deal. I just get sick. I have to do this in a mindfully, healthy way — to walk my talk. But it’s hard with no family locally, no neighborhood sitters on call. Even school hours I feel guilty about because it’s expensive and if I were well, I would not have sent my daughter to full-time preschool at the age of three years and one month. But I’m not good and just being home with her and still maintaining my health or sanity. I need to be active to be happy (and that means not clinically depressed), and I’ve really enjoyed working on the site. Parenting a young child is not my forte even if I didn’t need to have a bunch of health-related appointments all the time, and though I think I’m holding my own, I think all the time about what I’d like to be and do for them if I felt I could. I do my best when we’re together, but I do hope I prove a little more suited to the later years! Right now, I want to be able to volunteer for the things that are meaningful to me at my children’s school, I want to make a difference in my community, I want to cook healthy food that sustains me and that clearly makes my children happier and healthier than when I don’t. I try to put on my oxygen mask first, as Huffington and so many others have said, but it’s kind of like I need several special strains of oxygen to function well. When a child is up in the night and needs to stay home sick, I can’t just not show up. Some people can hack that kind of disruption and get through a groggy day with a cup of coffee in the morning and a glass of wine at night. I can’t do anything but eat completely clean or I’ll fall apart in the best of circumstances. Disrupted sleep starts a cascade of negative effects on my body; no morning yoga or exercise not only affects my mood but also my digestion. I lack the resilience to just take up the slack when a strand goes loose; instead, it’s like missing out on my “meds” and everything goes haywire. But it’s also called mothering, and I can’t just quit it and walk away like I did with teaching after my son was born. And other than work on the new site, which seems like the only thing that makes sense to do and I hope leads in some way to something that resembles a career, I don’t know what I could possibly do to earn money. Any other office job or deadline-based job I would likely get fired from or disappoint people, or it would have some kind of significant negative impact on my health, and therefore on my family life (in addition to whatever time-crunch or childcare needs it might create, which compromises the home life I want for my kids). It would feel amazing to contribute financially to my household and to know that my work was making a positive difference in other people’s lives. I’m not even close to trying to win some kind of rat race, and yet I still feel inadequate, wearing any one of several hats. Technology has contributed to this sense of never being or doing enough, for sure. When I’m feeling not so great, Facebook’s parade of people with beautiful lives and gorgeous vacations just makes me feel worse. So I log off. And I’ve ignored a lot of other technology; I don’t even know how to use our TV, I have no playlists and don’t even know how to download music or what device I’d play it on. Nothing in my house starts with the letter “i”. I rarely visit Pinterest and am not on Instagram. 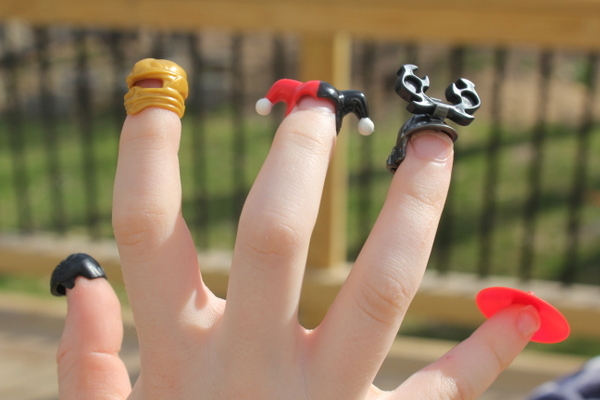 In many ways, I’m a dinosaur. Yes, my email In box may be a source of stress, but I’m not thinking in Tweets or watching YouTube instead of interacting with my children. I set down my phone plenty. I didn’t even have a smart phone until 2010, and when I left that education class crying because I knew I’d have to abandon my teaching career, I had never sent a single text message. No, I can’t blame my struggles on small screens. I’d be having a tough time even if this were still 1992. Even without the added challenge of “email apnea” (the common practice of holding one’s breath while responding to email) and other unhealthy side-effects of our always-connected lives, I still think for me it’s just that I had 30 years of unhealthy habits to undo. Maybe I will have more hope by the time I finish reading Thrive, but so far, the ability to stay healthy and feel like a decent mother and a contributing member of society at the same time – to say nothing of even being a decent partner or friend – remains elusive. Do I just have to wait until my kids are older before I can really start taking care of myself in a sustainable way that is not at the expense of their needs? 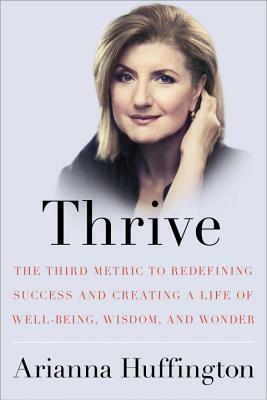 This post was inspired by Thrive: The Third Metric to Redefining Success and Creating a Life of Well-Being, Wisdom, and Wonder by Arianna Huffington who encourages everyone to sleep their way to the top. Join From Left to Write on May 1 we discuss Thrive. As a member, I received a copy of the book for review purposes. Wow, this is spot on exactly how I feel most days. This whole week has been one stress after another and I finally broke down sobbing outside in the rain after yelling at my daughter for what I perceived as being in my way. Lack of sleep and good food definitely take their toll, I’m looking forward to Sunday when our farmer’s market re-opens. I do agree, it is so hard to take care of ourselves as moms. I laugh because every time I go to the dentist, I get a lecture about how I should be brushing more and flossing daily and I say, “Sure, are you going to cook, clean, and watch my child too?” There has to be a way we can find time for ourselves too. I’m not a mom so I can’t exactly say I know how you feel, but I do have moments where I feel like life is just too freaking overwhelming. Facebook envy definitely comes into play, so it’s good that you log off when you feel those moments. As for being a mom, I can only tell you my experience as a child of a mom. Do the best that you can. Think about if you’re comparing yourself to other mothers. Everyone’s household runs differently. Find out what your children NEED, and give it to them. I’m sure you’re already doing that. Children are way simpler than us adults make them out to be. Of course, in this day and age, technology is a bigger part of their lives. 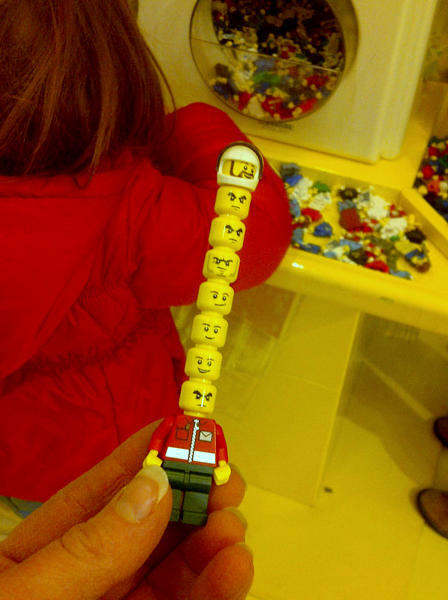 But they find the joy in such little things (like those cute Lego heads). They enjoy just being in the same room as you (as long as you’re “present”). They enjoy you just paying attention to them. Thank you so much for taking the time to read and write, Briana! I really appreciate your comments. Sometimes it’s a struggle to even be “present” with kids around — sometimes because I am cooking for them or scheduling something for them. But you’re totally right! Thanks for commenting! Oh, Holly, I’m sorry to hear you can relate so much but really appreciate you sharing! Every little thing I ignore health-wise ends up costing me — and my family — in the long run, but that doesn’t make it any easier to attend to those things in the moment. I hope your week improves and that you’ve gotten some of the sunshine that finally reared its head here in DC today after two very rainy days. I wish you the best and am grateful to you for sharing your time and support!